In a place like Orlando, carpet cleaning is a necessity if you want your flooring to last as long as possible as well as look its best. Carpets that are deep cleaned regularly are more comfortable, better looking, and can even be healthier than carpets that are only vacuumed. Though there are limits to the effect of carpet cleaning, Orlando homeowners who opt to keep up with their deep cleaning are likely to be more satisfied with their floors, and may even end up saving money in the long run! When dirt and grit is tracked into your home, it can become lodged deep inside your carpet fibers; vacuuming plays an important role in removing this dirt, but it can't always reach all of the dirt that is present. While you can't generally see small particles that are beneath the surface of your carpet, this dirt and grit is actually jagged enough to sever carpet fibers if left unchecked. This can lead to a less attractive carpet, as well as premature wear on your flooring (which can cost you plenty to replace)! Central Florida's regular rains make your shoes more likely to hold onto damaging particles; this is why, in a place like Orlando, carpet cleaning is doubly important. 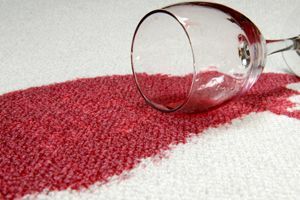 For frugal homeowners in Orlando, carpet cleaning is a job that you might try handling yourself. There are several companies that rent professional carpet cleaning equipment (sometimes you can even rent a steam cleaner at the grocery store) and sell the appropriate cleaning solutions to thoroughly deep clean your carpets. Doing an adequate deep clean generally takes a little time, especially for those who haven't done it before, but if you are patient and diligent, you can achieve professional looking results at a lower price than it would be to hire a pro! While Orlando carpet cleaning services might charge a little more than it would cost to do the job yourself, there are many benefits of having a pro do the work. Before you decide a DIY job is the best route to go, take a look at how much it would cost to rent the necessary equipment and buy the necessary cleaning solutions. You may even want to consider the amount you'll spend on gas transporting the equipment to and from your home. In some cases, the savings will add up significantly; in other cases, the two amounts might be closer than you thought. Professional Orlando carpet cleaning services can often respond very quickly to homeowner requests, and in most cases will do a better job than any homeowner could hope to do on his or her own. In addition to the very specialized techniques and equipment that comes along with hiring a pro, you'll also be getting the benefit of having someone who's done this job time and time again. As with anything else, practice makes perfect; even if you have consistently done your own bi-annual carpet cleaning, Orlando's professional cleaning crews can almost certainly boast far more hours of practice than the average homeowner! Additionally, professional carpet cleaning services can also handle carpets with special needs like stain removal, re-stretching, or fire or flood damage that most DIYs simply don't have the tools or knowledge to tackle on their own. HomeAdvisor keeps records of every job we process nationwide, including Orlando carpet cleaning. While the national average cost of hiring professional carpet services is about $200, we've seen many Orlando carpet cleaners charge $150 or even less! Prices will certainly vary from company to company and depend heavily on the size of the carpet to be cleaned; special services like stain removal, re-stretching, and fire or flood recovery will generally cost extra. In less populated areas, finding a carpet cleaner might be as easy as opening a phone book and choosing the only guy in town. However, if you go through the phone book in Orlando, carpet cleaning services are not only numerous, but practically indistinguishable in every aspect other than the size and color of their advertisements. Central Florida homeowners looking for the best price on the most competent service simply have too many options to choose from for this to be a cut-and-dry decision! Thankfully, this is where HomeAdvisor can help. Not only do we keep records of how much Orlando carpet cleaning costs, we also keep records of what homeowners like you have to say about the prescreened contractors they've hired through us! What this means for you: free feedback on what others in your area have experienced with a particular company. Not only will this give you a glimpse of how good a company you hire through us is likely to perform, it gives each company good incentive to make you happy with their work. Comment: Clean both tile and carpeting, project covers entire house and bonus room. Approximately 2800 square feet. Comment: need old carpets cleaned in a home. Will have to work around furniture. Orlando Carpet Cleaning Services are rated 4.78 out of 5 based on 1,389 reviews of 39 pros. Not Looking for Carpet & Upholstery Cleaning Contractors in Orlando, FL?